Many yachts will spend time on the water over the holiday. If you have plans and would welcome company - please let me know so I can display your whereabouts here. Eureka - Elaine and I are planning to spend the new year weekend on the boat and cruise down to Jervis Bay the first 2 weeks of January. Endless Summer - Great idea - Please put Russell and Jan Barnes on the Hanse 385 “endless summer” as visitors to CYCA for 2 weeks from 27 December Best wishes for Christmas and New Year. Chinook - is at the CYC from Boxing Day for 2 weeks. Hope see you on the Harbour Merry Christmas to all Cheers Peter and Lesley Rochaix. Migaloo - is joining Endless Summer and Chinook over new year. Aeolus - will also be based at the CYC. Rhumb Line - Will join others at Audley for new year. L'attitude - Plan to be at Audley for new year. John thanks to you and Margaret for your company this New Year. Audley was Possible Dreams destination (Ken and Libby Teiffel) and we spent a very enjoyable day rafted up with L’Attitude,(John and Margaret Barter) Sunflower (Ian and Margaret Coles) and Rhumb Line (Jim and Ginnie Lupton). 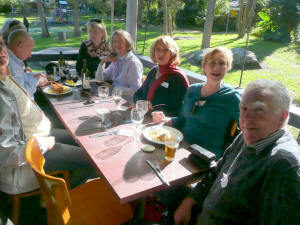 We all lunched on fresh prawns, chicken and cold lamb, bread rolls and a couple of White Wines and Beers. Mid afternoon we all took a walk to the Weir Café and some of the more energetic people did a short walk to Lady Carrington drive, returning in time for Iced Coffee and Rocky Road. Back to flotilla where we successfully spent the rest of the afternoon reading and relaxing until 7.30 when we all sat on Possible Dream enjoying Red Nells, Champagne and Cold Beers with platters of biscuit and cheese. We related stories of past boating experiences and told jokes, and before we realized it we could hear the 9.00pm fireworks, still we kept the stories going and the jokes got funnier and funnier with more Red Wine, Champagne and Beer. We seemed to forget that we should have been BBQing some steaks and continued to nibble on the biscuits and cheese until suddenly it was Midnight. We all Toasted each other and then realized we were quite tired but incredibly proud that we had actually seen the New Year In. Thank you all for your sharing New Years eve with us, it was a great night. I have attached photos. Best wishes Ian and Margaret (Coles). Many thanks for the enjoyable company over NYE. Ginny and I had a great time and a good sleep after, so much so we didn't hear the rockets at 0300. Many thanks also to Ian for the great photos of the raft-up. Cheers, RhumbLiners. Audley has undergone a major refurbishment, and the facilities are now first class. We will drop anchor in the middle of the river and moor stern into the bank at Pool Flats. Some yachts may like to arrive before Saturday so I expect we will do some walking, rowing and eating. On Saturday evening we will organise a grand dinner and some entertainment. 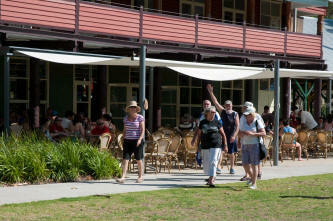 The new facilities at the old dance hall serve Breakfast and lunch and coffees and cakes in a very pleasant atmosphere. This is our last event before Christmas, so the theme will be a Christmas message. The Main event will be the Christmas dinner on Saturday night in the pavilion at Audley. I would like to see the tables decorated and if possible members to dress for the occasion - I will leave that up to you. Boats can also be dressed for the occasion with flags, lights or Christmas regalia. There will be prizes for the best presentation and a Master of Ceremonies appointed to judicate and to administer penalties for misdemeanours. A band may be available and the 'choir of heavenly voices' will lead the singing after diner. Land yacht are also welcome for the diner which will commence around 6pm. Despite the wet weather, The Master on L’atttude and Us (Libby and Ken) on Possible Dream spent the afternoon and evening at Audley, the weather was reasonable during the afternoon so we took a walk to the Weir Café for a nice cup of coffee and some rocky road. Checked out the BBQ’s and shed for the next night’s BIG party. Back to the boats just in time to miss the downfall that fell from the skies, this did not worry us as we were able to sit undercover on Possible Dream and sip glasses of red wine and beer before having an evening meal wonderfully prepared by The Master aboard L’attitude. After a very very calm night and some breakfast we started to prepare for the first boats to arrive, the sun was shining and the rain appeared to have disappeared. First the Hetherington’s on Migaloo, closely followed by Espirit, then The Crow, Eur eka and finally Sweet Chariot. The afternoon was spent visiting each others vessels and generally socializing before heading up to the Pavilion for our Xmas gathering. Tables were decorated, Christmas lights were hung, glasses of wine poured and beers opened. Games were played and Misdemeanors given out and then we were beautifully entertained with musical renditions by Ross and Jan’s grandchildren and Margaret and John’s grandson. To end the evening we all joined in the singing of the Traditional Christmas carols before packing up and heading back to our floating homes. Of course we had to have a night cap before heading for bed. Another peaceful night was spent and after breakfast we once again sat and chatted or went ashore for exercise before catching the tide at midday to head back to our land dwellings. Migaloo headed of for the Harbour on Thursday with the help of the Everitt's and then on to Broken Bay on Friday. L'attitude left on Friday into a brisk northerly of up to 28k bound for Broken Bay. Both yachts rendezvoused on Friday evening near Jerusalem Bay. The following morning we were joined by Surger and the Shaw's. The morning and lunch was had at Patonga. The trio of boats then found a quite anchorage at the end of Smiths Creek for the evening. Sunday came and we moved to an anchorage behind Dangar Island in preparation for our long lunch at Peats Bite. All the ladies dressed for the occasion and we were picked up by Surger for the trip under the two bridges to our lunch venue. What an enjoyable afternoon it was. We had a seven course lunch and were entertained by Tammy singing and her brother on the guitar. We danced and sang and ate and were entertained in great style. We returned to Dangar Island at dusk and stayed for the night. Migaloo left the following morning for the Port and L'attitude stayed an extra night at Jerusalem Bay. Can't make it this time: MaJiKaL, Lorita Maria, Chinook, Sea Hawk, Eureka. 0730 low 0.54 - 14:11 high 1.58. A reconnaissance has revealed that we will have trouble reaching the head of Cabbage Tree Creek. As well as problems with shifting sand a large tree has fallen across the river making it impossible to pass. The only picnic area is at the head of navigation so another venue is required. This is always a popular event when we explore, in our dinghies, some of the small rivers that feed the Hacking River. This year we Anchored on the western side of South West arm and boarded our dinghies for the run to the head of navigation to find the wildflowers. After a hike to Winifred falls we retuned to the dinghies to make our way back with a detour via Anice falls for lunch. 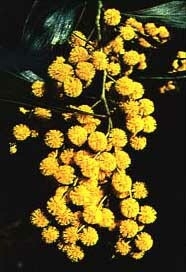 For more see: The Cruising Guide - Page 53. Hi John, Thanks for a truly magnificent day at Southwest arm. 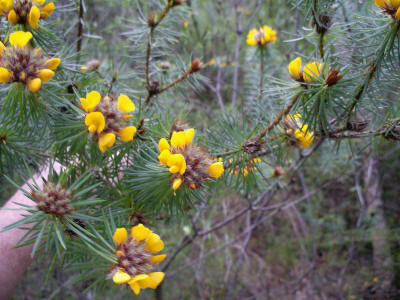 Thanks for organising the wildflowers, weather, water, and great company. Another magic day with the Cruising Group, it was the best with crystal clear water, beautiful weather and great company. In fact, I reckon we should all have snorkeled up to the falls, it was so clear and we could have enjoyed it from another viewpoint! Cheers, Ginny and Jim Rhumb Liners. Just watched the slide show of last Sunday, wonderful day, fabulous company, and the spring flowers stunning. Peter, Leslie, Ginny and Jim, Thanks for your comments, they are appreciated. See slideshow below of photos provided by Peter and Jim. The picnic was had in style aboard Migaloo. Table cloths (or suitable rugs), serviettes (cloth), silver goblets (or pewter) and champagne were on display. Last time we even had some picnickers with silver candelabras complete with candles so we had a high standard to maintain. The prize for the most style went to Chinook with all of the above. Yachts Interested (9): L'attitude (4), Assistant Cruise Captain, Chinook, Splinter, Migaloo, Sweet Talker, Rhumb Line, Imogen. Swell: .8 to .9m (Like it to be under .5 - See picture Sat.) OK but best have a stern anchor handy. Wattamolla is an unique anchorage very close to the Port but it does have its hazards, so care must be taken. 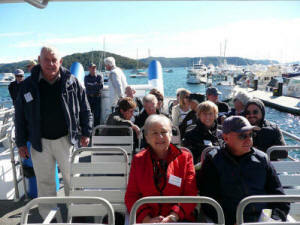 Rhumb Liners wish to congratulate you on organising another magic cruising group day. The placing of the red buoy at the entrance was a good safeguard for us all. We also thank the ferry coxswains (Jim Crowhurst and Don Parker) for the very efficient service with no dunkings. I am putting our photos on a cd and will get that to you ASAP. Cheers, Luppo. Tuesday 26th June 2012 - 6-7pm in the lower bar followed by a bistro dinner. Alison and David and family have now spent many years cruising out of Cairns. They have now returned and would like to tell us of their experiences. Many of their stories are on the cruising updates on the cruising web. Apprentice Jared will be organising these events, and this page will be updated as more information comes to hand. The aim is to get these evenings running again while we have members willing to share their stories. A quick fix for the wet season. As we are still in Cairns with the wet season upon us, keeping an eye open for potential cyclones lurking around it makes it hard to go places. Sometimes you might get a day other times you might get a little longer between showers or weird weather. I thought that I would ask a variety of boatie friends as to where they go for that short trip to get their “quick fix” of the cruising life they once had ...……swimming, diving, fishing and trimming those sails – oh that’s Dad’s job, dragging anchor in those strong squalls that come out of nowhere. We have a saying – “When leaving the marina turn left to play; turn right to hide from a cyclone”. Once we took our Nan from Sydney to Michaelmas Cay. She asked a lot of questions and we will always remember the look on her face when we answered them. What was that thing that just flew past the window? (Matthews reply) Could be any thing Nan, probably our washing blowing away How strong was that gust? (Matthews reply) About 30knots. Does it always do this? (Matthews reply) Every so often you’ll get used to it. What’s the banging under the hull? (Natasha’s reply) Just sharks or big fish, want to go for a swim Nan? Notice from the Apprentice as the Master will be away for this event. I the cruising apprentice would like to invite you to the annual whale watching cruise and raft up lunch. The plan is to meet up around Jibbon Beach and communicate on Channel VHF 73 at about 10 am. We then shall either sail or motor out toward where the whales should be passing as they migrate north. 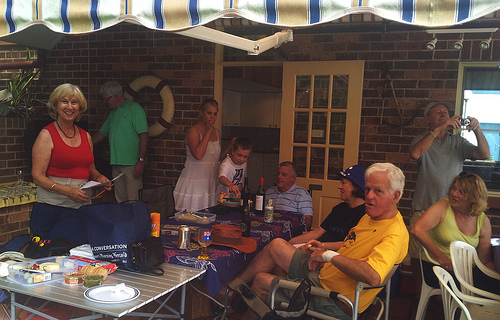 On Saturday 23rd June, we had 5 boats come out for our annual whale watch and picnic lunch. We all had a bit of a slow start in mustering on time. Rhumbliners, headed out first in South Easterly direction, with Sweet Chariot following not too far behind, we were using channel VHF 73 for communication, not long after Sweet Chariot was on the radio they had found the first small group of whales, just north of the Jibbon Bomby. Rhumbline quickly turned round and headed back towards the Jibbon bomby where we saw the whales, we were also reunited with Sea change and Hands Off who were casually sailing along with the pod. L'attitude soon turned up and joined our fleet as we watched the Whales Jump and dive as they headed in a North Easterly direction. Before too long Rhumbline Radioed into the other trims that they were returning to Jibbon Beach. Once at Jibbon we picked up a mooring and started our picnic lunch which was great. L'attiude and Sweet chariot rafted up with us and we had a lovely afternoon in the sun. 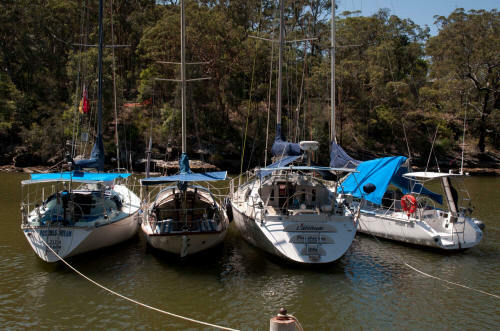 The Sail Cruising Division at RMYC Broken Bay would like to reciprocate your wonderful hospitality we enjoyed With RMYC Port Hacking with lunch and a ferry trip on Pittwater and the Hawkesbury River. We are proposing Sunday 27th of May to take a ferry from our club at Newport to Dangar Island, near Brooklyn, lunch at the Dangar Island Bowling Club and return to Newport in the afternoon. On the water each way exploring some of our boating territory. A small note to say thanks for organising the day. Lyn and I enjoyed it very much. The northerners are a like-minded bunch of sailors. In their Club House, when we had a coffee before setting off for home, I had some offers / invitations for us to cruise in their "patch". Probably for a week or more, given the distance, but it is a great venue and MaJiKaL would certainly participate (even if I have to drive the boat there myself) in an event. I would be happy to help coordinate events / dining / guiding at this end (in case I heard correctly when I think you said you would be away?). Perhaps we could discuss later over a coffee? I have left my contact details with Bob Vine. Easter Saturday 7th April 2012. Again, we will planned our arrival for 1200 at La Perouse, where lunch was booked for 1300. Around 11:30 we had a 35k southerly. L'attitude, Esprit, Possible Dream, Excentric, Mica, Chasseur and Sweet Chariot came by their vessels, the rest came by land yacht. 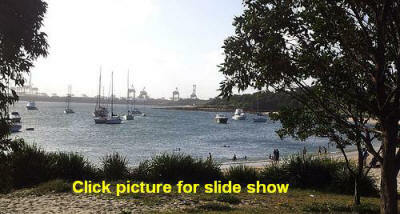 The wind eased during the day and yachts chose Towra, Kurnell or La Perouse to anchor overnight. Sunday was overcast but by mid morning a NEer had come through reaching 20k at times which made for a very pleasant sail home. Once again a great event at the Boat Shed Restaurant at La Peruse. 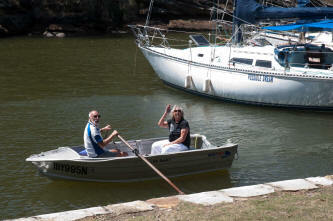 Ken and I sailed up from Port Hacking accompanied by Margaret and Ian Coles. We departed the Port at 9.30, it was beautiful morning a slight breeze and the sun was shining, just off Jibbon we unfurled the Number One Head Sail and cut the motor and sailed our way to Botany Bay. When we were just at the entrance the Southerly arrived and made the furling of the head sail an interesting event as we had over 30knots of wind. We headed into the Bay in front of the restaurant in a howling southerly and OH Joy … We got the anchor ready to drop but OH such luck there was a mooring sitting waiting for us. We picked up the mooring NO problem but then managed to get the anchor wrapped around the mooring rope….. We will say no more. Yes we did manage to free it and head into the shore for a much deserved lunch. There were 45 sailors all together. Most had come by land yacht and of course were all looking very glamorous, when in walked the Sea Sailors looking decidedly windswept. We all enjoyed a three course meal of great food and at about 5.00 we departed the restaurant, with tummies full of good food and wine. 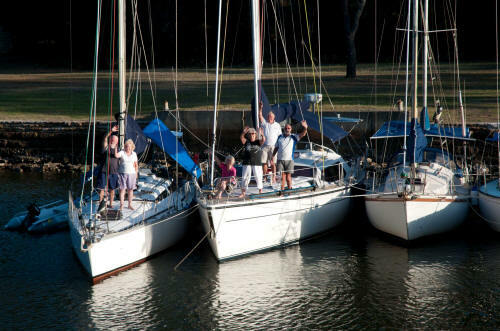 The Land Yachties took to their yachts and navigated their way back home, while the intrepid Sea Yachties spent another pleasant hour on board Tony and Elizabeth Galway’s vessel before each heading to their own yacht ready for any early night. Although the wind did blow until about midnight and the waters were a little rock and rolley we all slept quite well and took of early for the homeward journey. The seas were a little confused but not too bad and we did not get any rain. Another Great Day…… Thank you Master. Possible Dream'. 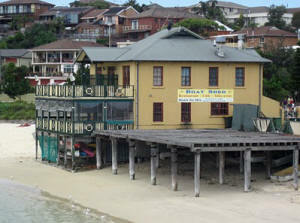 Hi Master, Very many thanks for the very pleasant sojourn /soiree at the Boat Shed cafe on Saturday. The food and wine was magic and the company as usual was impeccable! Regards, aye, Rhumb Liners. Boats Attending (46); L'attitude(2), Possible Dream(4), Reflections(3), Chinook(2), Excentric(2), MICA(4), Eureka(4), Esprit(2), Chasseur(2), Migaloo(2), Sea Change(2), Rhumbline(5), The Waugh Ship(2), Sirocco(2), Sweet Talker(2), Korvanton(4), Aeolus(2), Sweet Chariot (Sailing-not eating). Broadwater Classic is CANCELLED due to 100% probability of rain. The BBQ and Picnic after is on from 12:00. Please bring folding chairs if possible. 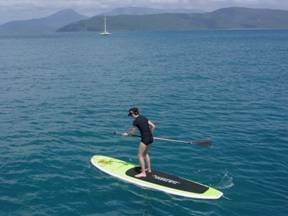 Street address: Crn of Wareemba Place and Turriell Bay road, use inclinator to boatshed. This year the theme will be your choice. It could be a poem, it could be a yarn ideally a spun by yourself or played, It could be good old Australian food prepared in the traditional way. Great BBQ many thanks again. I have put the few photos that I took up...if anyone else wants to send me their photos I will add them to the set. That they formed an institution called the Shire Sailing Clubs. Yet never a hull was shaped or a canvas tailored that the Shire boys couldn’t sail. They were demons, were the members of the Shire Sailing Clubs. That an institution existed called the Rushcutters Bay Gentlemen’s Club. For their cultivated owners treated them as mistresses to ride ’er once a week. Ere they started operations on the Shire Sailing Clubs. And hit the line together without fear in any crew. A spectator’s leg was broken – just from looking on. He was their last surviving skipper – so the contest was called a tie. So he went for the finishing buoy – and struck it – then tumbled off and died.